Although a founding and exhibiting member of the French Impressionists, Degas' preoccupation with the human figure and his intimate engagement with the minutiae of everyday life set him apart from the aims and methods of the group. "My art" he insisted, "has nothing spontaneous about it, it is all reflection" (Monnier). The distinctive linearity of Degas' work - a product of his classical training - evolved into a dynamic vocabulary of gesture and movement. His 600 or so variations on the theme of ballerinas have been compared to the photographic studies of animal and human locomotion undertaken by Eadweard Muybridge in the 1870s and '80s. 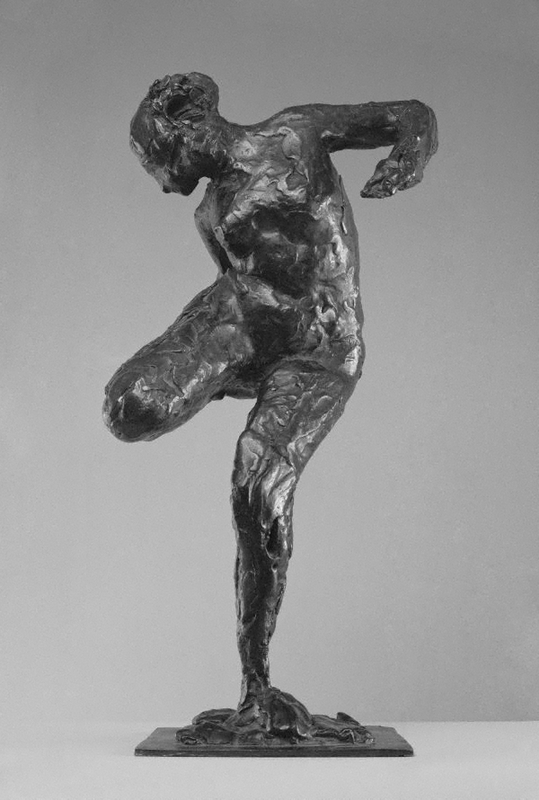 Degas' fascination with the moving body was extended and developed through his sculptures, many of them produced as wax sketches and not cast until after his death.